Debbie was recently interviewed by Dianna Chycki for Beach Corner Radio in Wasaga Beach. 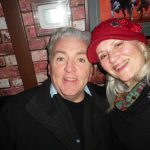 During this 45 minute interview, Debbie answers questions posed by Dianna, on her early days in the music business, and features two songs from her new CD Full Circle: Back To Bacharach. 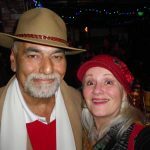 Since having the CDs in her hands, Debbie has been getting it to radio stations. CBC has featured it on Fresh Air and Tonic, and it’s being streamed on CBC jazz streams. 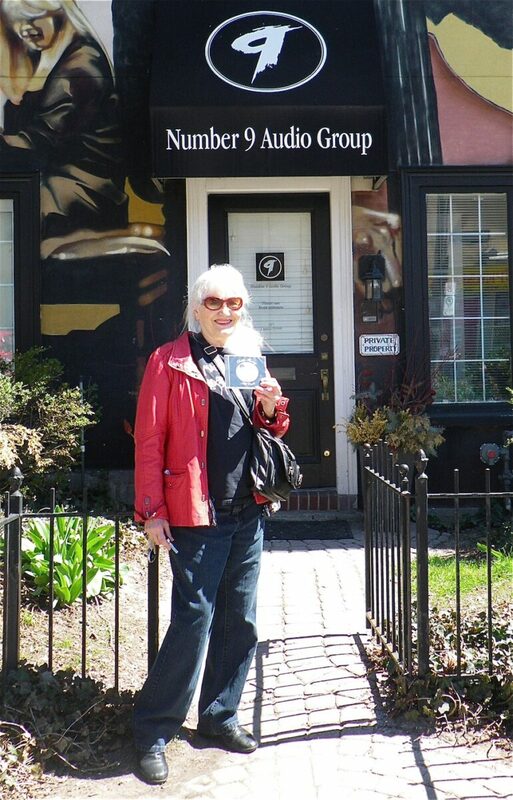 Since all the Toronto publicists are busy, Debbie’s been promoting the CD herself – a slow process. We have a review in the June issue of Wholenote. 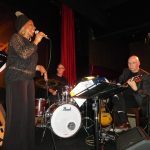 Read Cathy Riches review here: Wholenote Magazine. 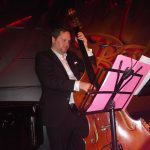 May 26th was an amazing evening at the Jazz Bistro for the launch of Full Circle-Back to Bacharach. 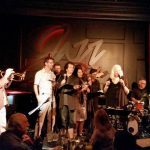 Adam Cree, the brilliant soundman at the Jazz Bistro, was very leery about whether we could fit eleven musicians and singers on that fairly small stage. But, we DID IT! The audience was an amazing, attentive crowd – at times, people couldn’t get in because it was so crowded. (“Best house in a long time” I was told by the manager, as we were tearing down). 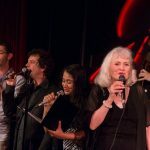 The Hampton Avenue 4 – acappella jazz vocal ensemble, consisting of Debbie, Suba Sankaran, Dylan Bell and Tom Lillington – did a short opening set, and brought the house down with their tight crunchy harmonies, and unbridled joy from singing together. 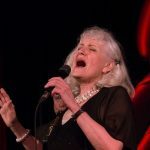 Songs from the CD, as well as other Bacharach/David songs – like Do You Know the Way to San Jose and Raindrops Keep Falling On Your Head – were performed, and the audience enthusiastically sang the vocal parts – everyone seemed to know the words. Colina Phillips sang some beautiful feature songs, as well as added her voice to the backup vocals, while Debbie sang. The band was amazing – Mark Kieswetter, Ross MacIntyre, Charlie Coolie, Ted Quinlan, Chase Sanborn and John MacMurchie played beautifully. Greg Godovitz, who was in the audience, remarked about how tight the band was, and asked how many rehearsals must we have had to get it to that level of perfection? I replied – ONE. Yep. These guys just read what’s put in front of them, and FEEL it at the same time – they’re that good! 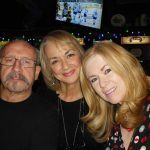 The singers were also excellent – The Hampton 4 and Colina Phillips sang their backups with perfection, and Debbie sang with strength, conviction, and total love for the songs she chose to record on this special CD. Colina sings Startdust with the band. Ross MacIntyre at CD Launch. 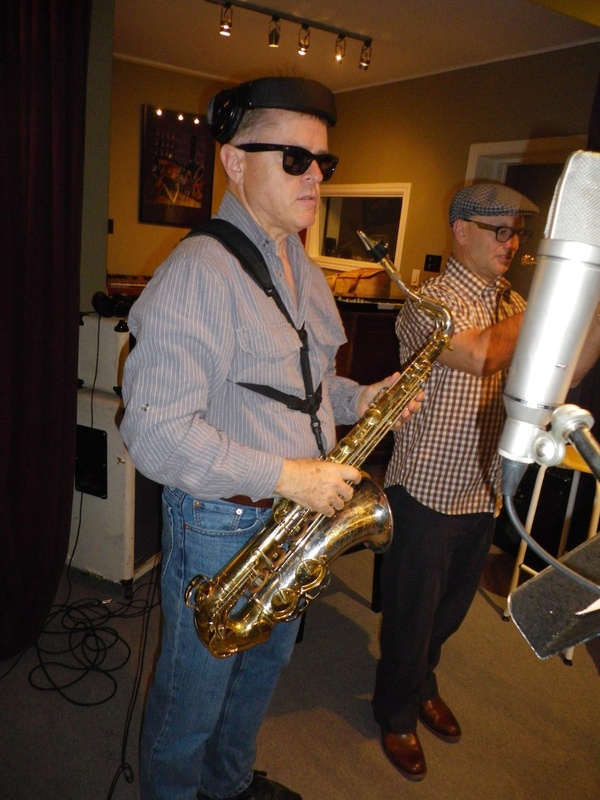 February 4th, we all gathered at Number 9 Audio to begin recording the “jazzier” songs and arrangements on the CD. 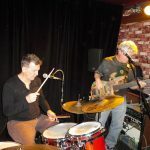 We had Ben Riley on drums, Mark Kieswetter on 9 foot Boesendorfer, Ted Quinlan on Guitar and Ross MacIntyre on bass (this time mostly upright). We recorded bed tracks for Close To You, I Say a Little Prayer For You, Promises Promises, The Look of Love and One Less Bell To Answer that day. I had planned to just record four of the above, but when I heard “One Less Bell…” on my daughter, Rebecca Fleming’s playlist when I saw her in December, I decided then and there, that I must record that one too, just for her. The recording went amazingly well. A few days later we brought in Arturo Avalos to add percussion on Promises Promises, and The Look of Love. 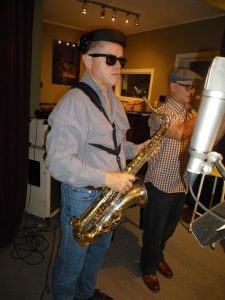 John MacMurchy and Chase Sanborn add horns. After the horns were added to Promises Promises, and I Say A Little Prayer, we were ready to mix. Finally, after mixing, mastering and putting the CD cover together – the CDs were manufactured, and ready for pick up on April 20th. Debbie proudly displays the first copy of her CD, after picking them up at Number 9 Audio. On January 30th, I was an audience member at Yorkminster Park Baptist Church, while the choir sang a beautiful concert full of choral warhorses, conducted by the young guest conductors who had been tutored by Noel Edison during the previous week. 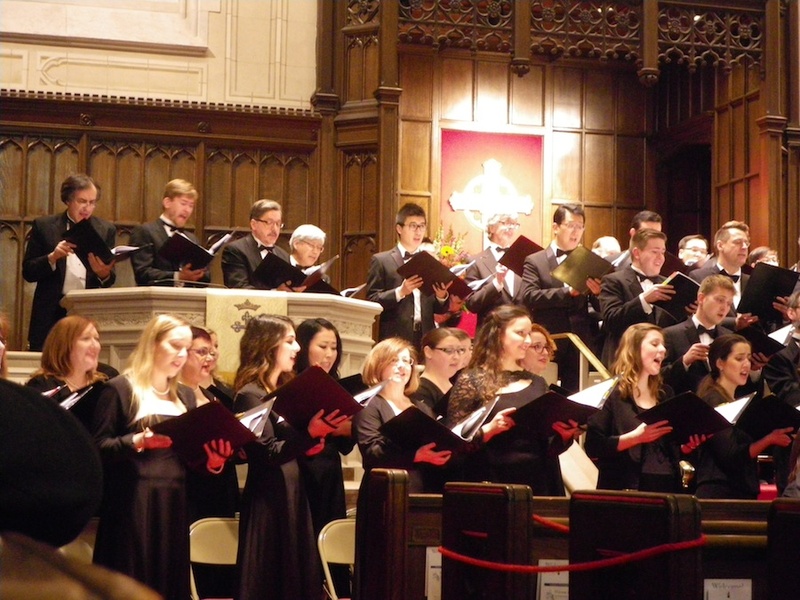 Toronto Mendelssohn Choir sing Psalm 100 by Stuart Beatch, winner of the Debbie Fleming Prize for Choral Composition. 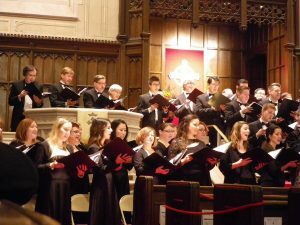 I enjoyed listening to this wonderful choir, and I felt very happy that the prize winning composition for the award I endowed to the choir, was sung. Stuart Beatch of Regina, Saskatchewan, won the prize for his work Psalm 100. 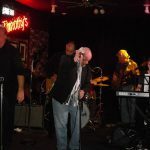 On February 2nd, 2016, Virgil’s annual musicians’ new year celebration and reunion took place at Timothy’s in Etobicoke. 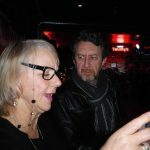 Still a wee bit squishy, compared to the now defunct Hollywood on Queensway, but it was a fabulous evening of great music, with all sorts of old friends in attendance. 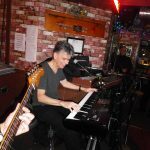 Grant Slater tickles the ivories.